Consolidated two membership chapters into one. Added substantial new section in membership regarding illegal activity – mainly those attempting to overthrow CCL and assist nefarious governments. Added new membership type, “Financial” for financial institutions. Clarified rules regarding currency and fractional reserve banking (a controversial topic, indeed!). In short, fractional reserve banking is allowed only if it can be demonstrated that the financial institution can redeem all deposits to depositors. Check it out for more details. Sketched out scaffolding for “Settling disputes,” which is a four step escalation process: reconciliation, arbitration, litigation, 12-person jury trial. Added an important exception to the right to contract, namely, that no CCL member has the right to issue contracts that are inherently impossible to fulfill. The Creative Common Law Project is happy to announce the addition of Donald Roth to the CCL Advisory Board. An updated draft of Creative Common Law has been uploaded to the site. 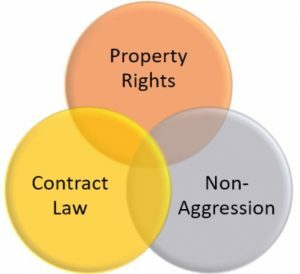 This version (.55) made some minor revisions to the Prolegomena section, and a new table of contents structure delineating “theoretical framework” from “procedural framework,” and has finished drafts of contract law (the “breach of contract” section is moved down to procedures of justice/settling disputes). Graphics were added for the core theoretical framework.